Have you ever noticed your feelings? How often have you stepped into others’ shoes and experienced their emotions? How well do you understand what you feel and why you feel so? Emotional Intelligence is our mind’s ability to perceive, manage, and express emotions effectively in real life. Jack Mayer and Peter Salovey (1990) defined Emotional Intelligence (or E.I.) as the ability to regulate feelings and use them to guide our actions. Like I.Q., emotional intelligence varies from one person to another. While some people are gifted by birth in the way they understand and deal with people, others may need help to build their emotional skills. Getting fluent in the language of emotions help us sustain our relationships both personally and professionally. Emotional intelligence can empower the mind and make us happy and content. How many of the above qualities can you relate to yourself? In this article, we will try to uncover the practical implications of emotional intelligence and discuss how to use it for wholesome and healthy living. Can Emotional Intelligence Be Taught and Developed? What Is Emotional Intelligence Training? Research suggests that people with average or below average E.Q. can do just as well as others by learning it. The only thing needed is the motivation to learn and the intention to apply it in real life. Emotional Intelligence can be gained and improved at any point in life (Goleman, 2014). Learning emotional intelligence skills needs a resourceful environment where we can picture the areas, or the aspects of E.I. that we should focus on, and seek expert advice on how to do so. Social skills – the power to communicate effectively and build strong connections at home or in the workplace. Learning E.I. starts with gaining insight into which aspect of E.I. we should work on. Some of us may have solid social skills but lack in self-regulation while others may be high on motivation but poor in self-regulation. The learning process begins with the knowledge of which aspect of E.I. to develop first. The next step is attempting to measure where we stand on each of the E.I aspects. E.I. tests are widely available online, or if you are seeking training in a professional setup, there will be materials provided to you for assessing your emotional intelligence. Here are a few assessments that we can take for evaluating our E.I. The scores in each of them are indicative of whether or not we need to learn emotional skills, and where do we practically stand as an emotionally aware human being. More on E.I. assessments and resources in the upcoming sections. Assessment opens us to a range of options to choose from. Depending on what part of emotional intelligence we need to work on, we can decide what sort of training would suit us the best. For example, a low score in motivational and social communication aspects can be improved by organizational training. Many professional sectors offer E.I. courses and workshops for employees who are keen to build their interpersonal skills. The final and the most critical stage of learning emotional intelligence is incorporating the chalk talk in real life. The exercise and self-help activities that structure E.I. courses are productive only when we can implement in real life situations. Teaching emotional intelligence to individuals not only builds their emotional skills, but it also sustains the education over several years (Nelis, 2009). Delphine Nelis, a cognitive psychologist, established her fact in an experiment with 40 college students. She divided the sample population into two groups and provided a four-week E.I. training to only one of the groups. Findings from her study indicated that the group that received the practice not only showed marked improvement in their emotional abilities, but they also continued to manifest the same even after six months of the experiment. Although this was a small scale pilot study to understand the influence of emotional intelligence training, the results were quite significant and suggested the possible long-term effects of education on E.I. Emotional Intelligence includes skills like self-motivation, emotional regulation, self-management, empathy and impulse control. (Goleman, 1995). It has been an enthralling area for mental health professionals for over 25 years now. The reason why IQ is independent of EQ is that EQ continues to improve and enhance over a lifetime, so it is never too late to start learning about Emotional Intelligence. Developing emotional intelligence implies developing a cluster of innate qualities that help us in enhancing our mental well-being on a day-to-day basis. Here are five simple ways that we can follow besides professional E.I. training to develop our affective awareness optimally. A large chunk of emotional intelligence lies in emotional management. How well we manipulate our feelings and efficiently use them makes us more resilient and immune to stress. When we can label the emotions that bring us down, we are less likely to get overwhelmed by external adversities and exhaust our mental energy. When someone upsets you or uses harsh words, don’t react immediately. Withdraw yourself from the heated situation and take some time to gather your thoughts and ‘choose’ your responses wisely. Do not jump to conclusions. Check yourself the moment negative thoughts start clouding up. In a time of distress, especially interpersonal conflicts, spare some moments to look into the matter from the other person’s perspective. Try to get in his/her shoes and understand what made the person behave that way. Notice how your attitude changes the moment you start empathizing. Am I thinking the right way? Should I have used those words today? How would I have reacted if I were in his/her place? Is there another way of looking into the matter? Is my family happy with me? Frequent encounters with the self enhance perception, creates humility, together which contribute to building E.I. Self-expression and emotional intelligence go hand in hand. Without one, we cannot build the other. People who can identify and express their thoughts effectively and in a more socially acceptable way usually are high on emotional intelligence and self-efficacy (Mayer, 1996). Self-expression means focusing on stronger and better communication with others, conveying our thoughts naturally and understandably, and attending to a solution with communication. If we can choose the right way to tell others how we feel and why we feel that way, we are already more solution-focused and self-regulated. Recent studies have indicated that people with emotional clarity and awareness are better at handling stress than others. Especially in the workplace, stress and burnout causes a marked degradation in our overall emotional capabilities and influence the way we respond to them. People who achieve tremendous success in their professional lives do not get it only because they are good at the job, a lot of the success is the byproduct of their emotional and self-awareness (Schuler, Dowling & De Cieri, 1993). Prolonged exposure to stress without efficient coping strategies can open us to a plethora of mental health problems. The most helpful stress reduction method is by consciously using our senses and staying close to nature (Bunzenmeyer). Splash cold water on your face after a stressful encounter and get back to work after that. Cool conditions usually help in reducing the anxiety levels and give a feeling of freshness. Avoid caffeine and smoke during hard times. Though people resort to these substances more during stress, it is best to avoid such stimulants when you feel nervous. Take a break from work when the job stress takes a toll on your mental and emotional well-being. Go out with your family and spend some quality time to regain insight and come back to combat stress more effectively. Empathy is the power to see the world with others’ eyes. It is an essential aspect of any mental health-related area of research (Larson, Yao 2005). Relating to others’ thoughts and understanding what might have influenced them to behave in that way is a significant milestone in emotional development (Reynolds B 1994). Empathy begins at home. Random acts of kindness like a thank you note, a little help to offer, or an open heart-to-heart conversation is all that takes to set foot towards an empathetic life. Even at the workplace, listening to a colleague without judging, or accepting harsh words from someone undergoing stress, can significantly build our emotional and social intelligence, thereby strengthening interpersonal bonds. Emotional intelligence is a fruitful impetus to a successful career and leadership. Gill Hasson, in his book “Emotional Intelligence: Managing Emotions to Make a Positive Impact on Your Life and Career” has indicated how emotional intelligence has helped professionals at different levels to move up the ladder and sustain their success over time. 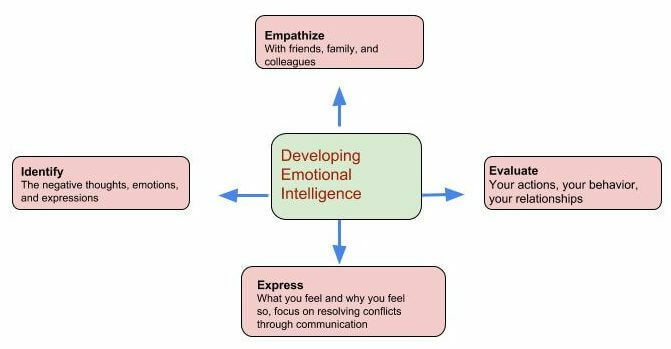 Emotional Intelligence Training is a set of practical knowledge and skills that help individuals to become fluent in understanding the language of emotions. Appreciating and acknowledging the efforts given by the participants to build their emotional intelligence at work. Recent studies have suggested that most organizations that hire managers today base their selection on how aware the person is, emotionally. Intellectual assessments come after that (Career Builders Survey, 2011). Whether it is dealing with clients and financers, serving the customer care area, teaching, or helping the people in general, unless we can establish a connection with the people across the table, we cannot yield the maximum results. Emotional Intelligence Training at the workplace is gaining immense popularity now. Promoting good leadership and managerial skills by being emotionally aware and mindful at work. The E.I. 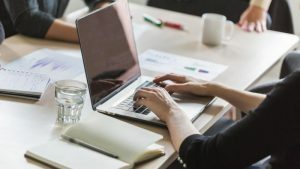 Institute in Western Australia provides valuable online emotional intelligence coaching and master classes for business owners, managers, supervisors, team leaders, and employees at other levels. Anyone, from anywhere, can participate in the Foundation Level Tele-Classes to get introduced to the basics of E.I. and the practical implications of it in professional and personal lives. The workshops organized at the specialist level is designed to profit specific professions like human resource, real estate, government officials, and telecommunications. The leadership workshops and training are highly equipped and designed to benefit people working as CEOs, CFOs, trustees, and other senior leadership designations in leading industries. The Foundational Skills On Emotional Intelligence is a 24-week online course targeted at individual emotional skills improvement. The course offers a flexible schedule and benefits individuals of more or less all ages and occupations. Conducted by the Key Step Media, the Emotional Intelligence Online Coaching is an in-depth program that aims to improve the five aspects of E.I. as Goleman had pointed – self-awareness, emotional regulation, self-expression, adaptability, and focus. This course is suitable for individuals who want to extend their services as a passionate E.I. coach. Wendy Jocum is an accredited emotional intelligence coach and test administrator. In her workshops on emotional intelligence, she trains participants to identify their emotions, challenge the negative emotions, and change them for professional and personal well-being. The workshops she conducts are well-designed and involves psychometric assessments conducted individually as well as in groups. Start building self-awareness by recollecting the emotions you felt throughout the day. List your feelings and try to name them, this will help you know yourself better. Once all the emotions are there as words, start analyzing them. How many positive and negative emotions can you see? Which are the ones that have affected you the most today? What caused these emotions? You need not act on them or judge what is right and wrong here. Just focus on observing each feeling and write them down honestly. Positive Emotions – happy, proud, satisfied, cheerful, enthusiastic, etc. Why did I feel so? Negative Emotions – sad, upset, angry, depressed, lonely, insecure, etc. The trust thermometer is an exciting group activity that fosters interpersonal trust. The exercise involves participants to line up against a wall and step forward as they respond. Several real-life situations are given to the respondents, and they are asked to make moves according to the level of trust they think they have in each case. No move, or standing against the wall would mean the person has no trust in the situation and the individual/s involved in it. Taking 4 or 5 large steps forward would likewise imply that the person has complete trust in the circumstance given to him. List good and bad emotions on the board. Call the participants one by one and ask them ‘How are you feeling?’. If the participants give flat answers like ‘fine’, go ahead asking them what makes them feel ‘fine’. Ask them to name how they are feeling right now and highlight those emotions on the board. At the end of the session, allow some time for the participants to discuss feelings with each other. Discussing things like why we say we are fine even at times when we don’t feel so good or what makes us ask another person about his/her feelings lets the participants gain clarity on the power of emotions and self-expression. As a leader, actions matter more than words. This exercise is for leaders and supervisors who manage large teams in the workplace. It is best when practiced in a group, for example, in stand up meetings or orientation programs is an excellent indicator for evaluating the group thinking. What do you think is missing from our team? How do you think I view your contribution to the team? Do you think you are important in this group? As a leader/manager/supervisor what do you think I have done to benefit the team? How have I made you feel part of the group? Once all the participants have recorded their answers, encourage them to share their opinions and listen to each other actively. Make the session as interactive as you can. Practice this exercise once a month or a fortnight to enhance self-awareness as the leader of the group. One of the most critical components of emotional intelligence is self-motivation and competence. The mastery of vision exercise is a rehearsal process that strengthens the power of visualizing success and rebuilds focus to act on the goals systematically. This exercise can be conducted individually or as a group and involves the following questions. The questions are subjective, self-evaluative, and there are no right or wrong answers here. Imagine yourself in your dream job, in the designation you always wanted to be. Go through your responses and try to analyze if you can plan your actions according to it. Keep the test as a reference and conduct it once or twice a year to align your thoughts with your goals. Mastering over our emotions and the way we choose to express them constitutes a large portion of emotional and social intelligence. This exercise is a mood map that lets the participant evaluate his/her emotions and explore the causal factors of it. The training is conducted in pairs where one person asks a set of questions to his/her partner and allows the partner to explain himself/herself. It is a great way to gain clarity of self-expression in a social set-up. Participate in pairs and take turns to answer each question asked to you. When you are responding, make sure you convey what you feel and establish eye-contact with the listener. a) When was the last time you felt happy at work? Why did you feel happy? How did you express your happiness? b) When was the last time you failed at work? How did it affect you? c) Do you get angry at work? What do you do when you are mad? d) Think about a time when your team performed well. How did you feel? Did you feel responsible for your team’s success? e) What disappoints you the most at work? How do you deal with the disappointments outside of work? 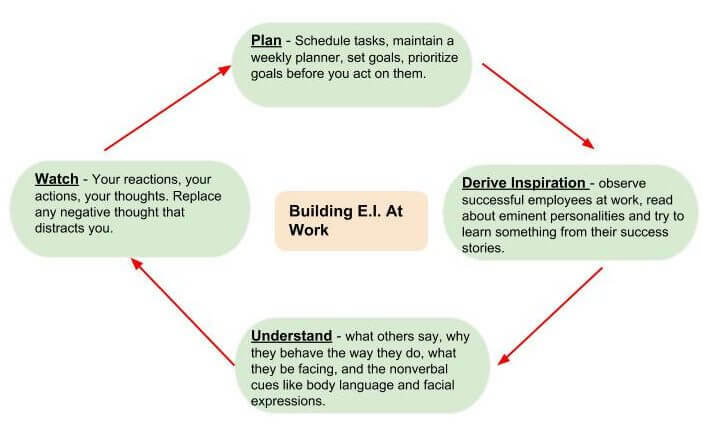 Self-Management Exercises For Building E.I. A 2-minute breathing exercise every day can reduce stress and burnout caused due to work. (Salyers et al., 2011). By consciously focusing on our breaths, taking deep breaths especially during stressful situations can instantly calm the mind and help us think right. Journal your thoughts every day. Write down everything that you cannot express or share with others. Let the negative emotions get a vent. Count to 10 before reacting or responding to conflict. Stay away from arguments as much as you can. Avoid confrontation if you cannot manage your emotions. Use phone or email to communicate. Share your problems with someone close to gain a broader perspective on the matter. Can there be a different way of looking into the matter? Is there a lesson that I learned from this experience? Could there be any other way of reacting to the situation? If this happens again, will I react in the same way? How would I have felt if I was in his/her position? Perhaps one of the most realistic and practical self-assessments for managing and regulating emotional awareness. Make a weekly chart with all the issues that you need to resolve within the week – including your personal and professional setbacks. Set aside 5-10 minutes every day where you come back to the problem list and write down the ways that you can resolve each of them. As you successfully solve one problem, strike it off the checklist and proceed from there. A sample checklist can look something like this. Emotional intelligence enhances with the power of building and sustaining long-term relationships at home and work (Gardner and Stough, 2002). Show your feelings – communicate and express your emotions in the right way. Whether it is love, anger, or disappointment, express through clear communication. Bottling up feelings, besides ruining the relationship, also results in them coming out in worse ways later. The little things matter – do not hesitate to say ‘thank you’, ‘sorry’, or ‘please’. It might mean a lot to someone and help in growing the bond you share with that person. Explain – When facing a conflict with someone close, remember to explain your actions and decisions. Communicate to resolve the conflict, not to aggravate it. Handle tough conversations – Look into things from others’ perspective and put yourself in their shoes. In stressful situations, let others express their opinions. Listen actively, do not judge or jump to conclusions. Accept if you are wrong and agree to disagree. Make sure you end the conversation on a positive note. A complete collection of powerful self-assessment worksheets for improving emotional intelligence and awareness skills, the emotional intelligence skill-building activities focus on personal awareness, social competence, relationship management, and emotional regulation. The Emotional Intelligence self-awareness worksheet indicates our emotions, helps in identifying them and expressing them positively. The structure of the test is made interesting by introducing blank cards where the respondents are required to name their emotions and discuss with each other at the end of the session. This online self-assessment worksheet evaluates emotional intelligence through facial expressions. A fun and easy self-assessment that takes minimum time, it is a standardized and scientifically backed E.I. test helpful for individuals of all ages. The test was popularized by the Global Cognitive Initiative (GCI), and the percentile scores indicate a quantitative analysis of E.I. with an added motivational component in it. The E.I. Handout of Kendra W Fontenot, Director of Disability Services, at the Washington State University is a self-report journal that besides having E.I. worksheets, also contains valuable resources for understanding the basics of E.Q. The Leadership Toolkit is a specialized handbook designed for professionals working in leading positions. There are 50 questions in the assessment that are answered on a 5-point scale, and the scores evaluate E.I. on the five dimensions – self-awareness, emotional regulation, self-motivation, empathy, and social skills. Skillsoft, an online business training platform conducts a series of Emotional Intelligence Training courses which are targeted to benefit business professionals and management personnel. The training focuses on building self-management and emotional regulation by tuning in to our feelings. HPS is a US-based organization well-known for its online certifications and training resources on emotional intelligence. The HPS has a separate branch dedicated to emotional intelligence courses. Pieces of training are conducted under the supervision of Dr. Henry L. Thompson, Ph.D. and founder of the HPS. The EQ-i 2.0 Certification – A standard self-report measure for evaluating emotional intelligence. EQ 360 Certification – A multi-dimensional measure for providing a complete understanding of an individual’s emotional and social intelligence. The MSCEIT Certification – An online certification that provides online training on the administration of the Mayer Salovey Caruso Emotional Intelligence Test, that evaluated our capacity for emotional reasoning. This certification is ideal for professionals who aim to make a better impression to supervisors and clients. The TESI Certification – The Team Emotional and Social Intelligence Survey Certification is a group training where each member is required to rate the team on seven TESI dimensions. The training helps in building emotional identity, awareness, communication, and stress resilience at work. The assessments include EIQ16 Questionnaire which measures our ability to accurately perceive, use, and facilitate emotions to understand and manage actions. Authors Jill Dann and Derek Dann have provided a practical step-by-step guide to gaining insight into our internal and external world in this work. The workbook comes as a compilation of cutting-edge explanations coupled with scientific assessments and a practical style of learning. It is available in a handy paperback format and also in a more accessible online version. The book was published in early 2015 and focus on building emotional intelligence through a progressive and systematic approach. A more or less all-in-one collection for emotional intelligence tests and activities, the Mini EI Workbook was developed by the Ghyst & Associates and Brent Darnell International, a one-stop destination for online courses and training resources. 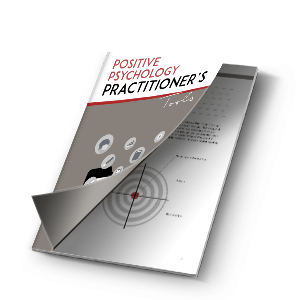 The workbook takes us through the different aspects of E.I and personality and helps us deeply internalize the ‘what’, ‘why’ and ‘how’ of our emotions. Self-reflection is vital for any education or training as it provides support, promotes discipline, and retains the knowledge that is learned (Green, 2001). Reflective practice in building emotional intelligence refers to the ability to pay continuous attention to the practical application of theoretical evidence and knowledge. Research has shown that repeating the skills that we acquire in any learning situation gives us the opportunity to challenge our limits and face real-life challenges better (Farrell, 2008; Lee, 2005). It drives us closer to solutions and to become more proactive in choosing the right actions. E.I. training strategies are successfully implemented across sectors like education, mental health and disability, project management, and leadership (Zijlmans, 2011). 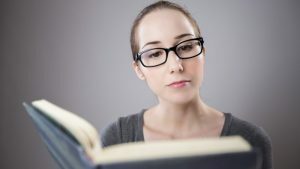 Karima Mariama-Arthur, in one of her articles on emotional intelligence training that was published in 2015, mentioned about five strategies that aid emotional intelligence training. Although her article was primarily leadership-oriented, the plan can be useful for all E.I. training methods. Emotional Awareness – paying more attention to our inner thoughts and feelings, naming the good and bad emotions, and consciously accepting to change them. Self-Motivation – looking beyond the immediate difficulties and pushing the self to actively execute plans and accomplish goals. Empathy – immersing ourselves entirely into the mind of others, thinking what they think, feeling what they feel, and understanding the world from a different perspective. Undoubtedly, one of the most robust and highest forms of evolving as an emotionally intelligent being. Relationship Management – involving active listening, effective communication, decision-making, conflict management, and coping strategies. Effective Communication – incorporating training methods for understanding nonverbal cues of communication like body language and facial expressions, better ways of expressing one’s feelings and the appropriate means of communicating in different situations. Emotional Intelligence lies in gaining awareness, in becoming consciously present in the ‘now’ and taking the full charge of our actions. Mindfulness creates the framework of emotional enlightenment. Mindfulness practices help us enact on the behavioral changes that we need for building our E.I. Easy mindful practices like thought counting, word watching, or myth busting can help in gaining awareness into our problems and accepting that we need to change ourselves to be happier in life. A growth mindset is where we feel safe to try new things and do not fear failure. A growth mindset is fostered through mindfulness programs at the workplace. 4. I don’t deserve this 4. Did I try my best? Mindfulness promotes self-evaluation and self-awareness. Individuals who attend individual or group mindfulness sessions are more keen to know their mistakes and ready to rectify them. They gain emotional awareness through curiosity and the desire to change. Mindfulness practices act as a mirror. They let us see our actions and identify the emotional triggers – what caused the adrenaline rush? Why did we behave the way we did? How do we feel about it? By letting in these introspections, mindfulness takes us through self -management and emotional regulation – the two most important pillars of emotional intelligence. 6 Steps To Improve Your E.I. Emotional Intelligence is the sum of balance, expression, and rational thinking. It gives us the chance to advance as a human and prosper as a leader. Building E.I. is continuous and progressive – we need to put efforts consistently and seek for reaching our goals. Remember, the secret to being emotionally aware lies in finding the weakness, turning them into strengths, and repeating the process until we master it. Clínica, English Edition, page 172-178. Why do you offer “free” exercises and when I enter my e mail, you ask for my credit card number. What a shame! THE ARTICLES ARE JUST SUPERB.KINDLY KEEP UPDATING ME WITH MANY MORE SUCH ARTICLES.